David Meerman Scott Speaker | Robinson Speakers Bureau David Meerman Scott is a master of the new rules for growing business, spreading ideas and generating attention in our always-on, Web-driven world. Advance planning is out – speed and agility are IN! Scale and media buying power are no longer a decisive advantage. Instead, RealTime is the mindset for the future where content is king! Those who embrace these new ways will leap ahead of competition. 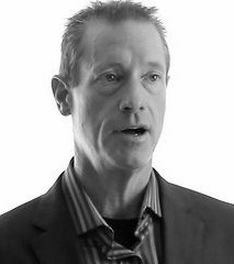 David Meerman Scott is a master of the new rules for growing business, spreading ideas and generating attention in our always-on, Web-driven world. Advance planning is out – speed and agility are IN! Scale and media buying power are no longer a decisive advantage. Instead, RealTime is the mindset for the future where content is king! Those who embrace these new ways will leap ahead of competition. David is an internationally acclaimed sales and marketing/pr strategist whose books and blog are must-reads for professionals and organizations seeking to stand out, get noticed and capture hearts and minds for their products, services and ideas. He is author or co-author of ten books (including four international bestsellers) with over one million books in print. The New Rules of Marketing & PR, now in its 4th edition with over 350,000 copies sold, is a modern business classic that has been translated into 26 languages and used as a text in hundreds of universities and business schools worldwide. Real-Time Marketing & PR is a Wall Street Journal bestseller and Newsjacking, and The New Rules of Sales and Service have each broken new ground with fresh ideas. David is also coauthor of Marketing the Moon (being made into a feature film entitled The Men Who Sold the Moon) and Marketing Lessons from The Grateful Dead. David’s ideas have captured the attention of the most respected firms and organizations all over the world. He is an in-demand keynote speaker on sales and marketing who has appeared in more than 40 countries and on all seven continents. His tailored and high energy presentations are an entertaining and urgent call to action where fresh ideas are punctuated rapid-fire with bold images, video and success stories to energize audiences. He inspires them to set old ideas and fear aside and use these new tools and Real-Time strategies to achieve real, measurable, no-cost results and seize the initiative, open new channels and grow their brand. David’s groundbreaking strategies don’t just slap social media onto dusty old strategies – they reinvent the way to engage the marketplace. Audiences walk away knowing how to use blogs, YouTube, Facebook, Twitter, Big Data and the strategies like Newsjacking to engage the media, crowd-source product development, increase sales, exert influence, disseminate ideas, build awareness and command premium prices by using speed and immediacy as a strategic weapon. 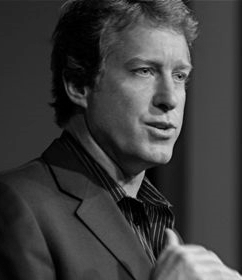 David Meerman Scott is a lifelong globalist with real-world experience and an eye for the bigger marketplace. He moved to Tokyo at age 26 to establish the Japan office of a Wall Street Real-Time economic advisory firm. He worked for global Real-Time media companies in Tokyo for seven years and Hong Kong for two. 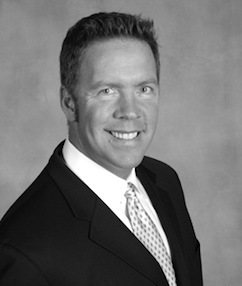 David was Asia marketing director for Knight-Ridder in the mid-1990s before moving to the Boston area where he was marketing VP for two publicly-traded U.S. companies. 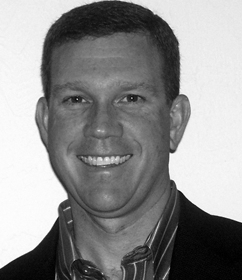 Losing his job following the sale of NewsEdge to Thomson delivered David the gift of reinvention as a strategist advising organizations on the new realities of agile, Real-Time business. 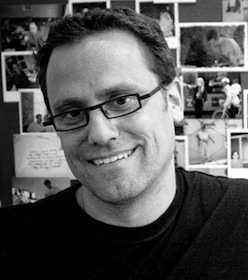 In addition to his work as a writer, researcher and international speaker, David is also an advisor to emerging companies who are working to transform their industries by delivering disruptive products and services. Besides delivering success as a member of the board of directors of NewsWatch KK (successfully sold to Yahoo Japan) and Kadient (successfully merged with Sant), and on the board of advisors of Eloqua (successful IPO in mid-2012 and sale to Oracle in early 2013) and GrabCAD (successfully sold to Stratasys in mid-2014), his current portfolio of advisory clients includes HubSpot, where he serves as Marketer in Residence (successful IPO in October 2014), VisibleGains, ExpertFile and GutCheck as well as non-profits including the Grateful Dead Archive at University of California/Santa Cruz and HeadCount.